The Mzuzu University Theatre Arts Group (Mutag) is shooting a movie centering on the recent killings of people with albinism. Mutag director Misheck Mzumara said the group is concerned with the continued killings and wants to condemn the acts through a movie. “The recent killings of people with albinism have happened closer to Mzuzu and we feel concerned as artists. It is very unfortunate that these practices are going on despite several condemnations. “As a theatre group, we thought of doing something to trigger debate on these issues and probably expect some positive social change. We want to show that these things are inhuman,” he said. The movie, titled Come Home Malikebu, has been written by Misheck Banda and is being directed by American filmmaker Tony Smith. “Smith has already trained us in film acting considering that most of us have little knowledge in film production. We are mostly into stage plays. So, presently, we are on the ground shooting the movie,” he said. 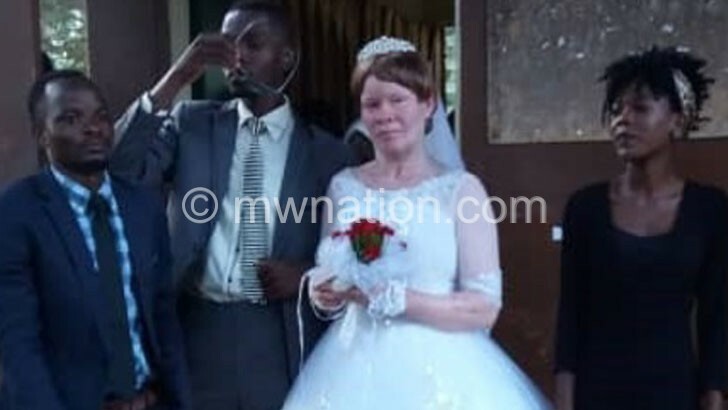 Mzumara said the movie, to be premiered in April, centres on some unscrupulous men who sometimes trick persons with albinism for their body parts. Association of People with Albinism (Apam) president Overstone Kondowe has commended the group for the initiative. He, however, said his association would be interested to be involved in the project.